Petition: 2000 dogs and cats'll be killed for the Olympic Games (Sochi 2014)! Please help to stop this. 2000 dogs and cats'll be killed for the Olympic Games (Sochi 2014)! Please help to stop this. 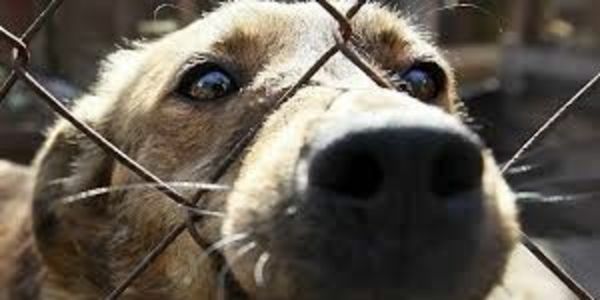 2000 street dogs and cats will be killed for the Olympic Games in Sochi in 2014. The Russian city of Sochi city has hired a private company to exterminate stray dogs during the 2014 Winter Olympic games. Claiming that it has an "obligation to the international community," one politician from the regional parliament, Sergei Krivonossov, says that there is "an obvious problem with animals living on the streets" and that "exterminating is the fastest way to solve the problem." The city of Sochi stands to make 42,500 euros on the killing of the animals. Animal activists have been protesting the Sochi government's decision to cull stray animals and called on other solutions, such as sterilization and the creation of shelters. While the authorities have said they would build shelters, activists contend that there is no evidence that any have been built. In 2012, reports about the killing of stray dogs in Poland and Ukraine in advance of another major sports event, EK 2012, led to international outrage and even a boycott of the tournament. We need to take action now and stop the massacre! Killing innocent stray animals, many of whom have been abandoned by owners who simply do not want them any more, is giving Sochi and the upcoming Winter Olympics a very bad reputation. It is even worse that Sochi is making money from this cruel activity. Instead of killing stray dogs and cats, the government of Sochi should be taking humane measures to help them rather than exterminating them with traps and poison. The government has said that it will failed to take any steps to do so, nor has it undertaken a sterilization program, nor has it demanded that owners take responsibility for their pets at the risk of harsh penalities. The Winter Olympics are a time when the entire world will be focused on Sochi. It is crucial that your government take immediate action and stop the massacre of stray dogs and cats in Sochi before it is too late! The ruthless killing of so many animals undermines and tarnishes the reputation of Sochi even before the Olympics Games have gotten underway. We hope that you can understand this. Dear Animal lovers, Animal Activists and All Animal Welfare Organizations, I would like to thank you all for the caring. Veterinary Krasnodar region on behalf of the Presidential Administration of The Russian Federation. At this moment, the city of Sochi formed a shelter for homeless animals. This petition will be closed with a notice about a success.